Evolution and Evangelicals … What are the Barriers? This is a big question for many of us these days. What are the barriers to the acceptance of evolution amongst evangelicals? 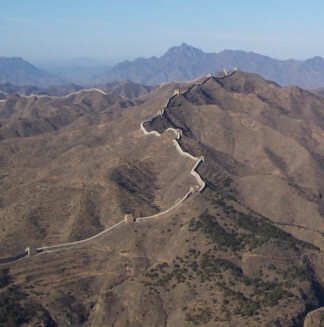 Can we (or should we) dismantle the “Great Wall” and overcome these barriers? Biologos has planned a working group symposium (exclusive and invitation only or I would have it on my calendar as a must) to look at just this issue. The workshop will bring together 15 leading scientists, 15 leading pastors and 15 leading theologians to explore this issue. Tim Keller, Francis Collins, and Alister McGrath are among the “names” involved. This is a critical conversation as we move forward – although I am convinced of both an old earth and an evolutionary mechanism of creation, this is not the end of the story. The theological ramifications must be considered thoughtfully, prayerfully – and with pastoral sensitivity. We must have conversation amongst sisters and brothers – fellow believers. As part of the preparation for this workshop Bruce Waltke (or here), Old Testament scholar, author of a Genesis commentary and other books, was commissioned to write a white paper identifying barriers for the typical evangelical theologians to accepting the possibility of creation by means of an evolutionary process. The results of his research are available here: Waltke Scholarly Essay. The results of his survey provide the focus for the discussion I would like to have today (and Thursday). Waltke’s white paper and survey provides some useful insights – although nothing that I find truly surprising. He surveyed seminary professors at institutions with presidents belonging to the Fellowship of Evangelical Seminary Presidents (FESP). 659 people visited the survey and 264 completed the survey. (Given my personal apathy toward the multitude of survey requests I get – I am actually somewhat surprised at the high response rate.) Of the seminary professors who responded 54% found barriers to the acceptance of evolution while 46% found no barriers. 1. (44%) The creation accounts of Genesis 1 and 2, when interpreted by the grammatico-historical method [hereafter assumed], cannot be harmonized with creation by the process of evolution. 3. (34%) God’s sentence of death and decay on the creation in connection with Adam’s Fall can not be harmonized with the theory of creation by the process of evolution. 4. (28%) The theory of creation by the process of evolution does not harmonize with the doctrine of Adam’s headship over the whole human race. 5. (19%) The Institute of Creation Research, founded by Henry Morris, has presented sufficient scientific evidence to reject the theory of creation by the process of evolution. 6. (8%) The Reasons to Believe Ministry, represented by Hugh Ross, has presented sufficient scientific evidence to reject the theory of creation by the process of evolution. 7. (36%) Apologists such as those of the Intelligent Design Movement, fathered by Phillip E. Johnson, have made a sufficient case to reject the theory of evolution and to replace it with a theory of intelligent design. 8. (17%) Ken Ham rightly argues “Scientists only have the present–they do not have the past,” ruling out the possibility of science to theorize the history of origins. 9. (18%) The apparent age of the universe can be explained by reckoning that God created the universe with apparent age. 10. (6%) The Gap Theory (i.e., the destruction of an original creation) explains the geological/fossil record) hinders me from accepting the theory of creation by evolution. 11. (7%) The Framework Hypothesis (i.e., the days of Genesis are artistically arranged and not literal) hinder me from accepting the theory of creation by evolution. 12. (46%) None of the above. I can accept the theory of theistic evolution. I will reflect a bit on some of the more detailed comments by Waltke in the next post, but today I would like to open this up to you. Which of these barriers do you consider significant as you consider the possibility of an evolutionary mechanism of creation? Are there others barriers that you find significant? What arguments do you find convincing – either way? This entry was posted in Evangelicalism, Evolution and tagged Bruce K. Waltke. Bookmark the permalink.